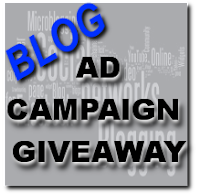 35 blogs have joined together to offer you a chance to win a MEGA ad campaign! With the heavy hitter blogs we have participating, this would mean HUGE exposure for you and your blog for the entire month of March! Do you want to sponsor this giveaway next month? Participation is FREE, and we are making next month the BIGGEST YET! Our Goal- 100 Blogs! Find out more HERE.